Oswego, NY – Members of the Oswego County Teachers Association were joined by a number of volunteers to help collect school supplies during the countywide collection day held August 14. Made possible through a partnership with United Way, school districts throughout Oswego County, and more than 20 business and organizations, the Stuff-A-Bus Campaign collected hundreds of school supplies for distribution to less fortunate students throughout Oswego County. 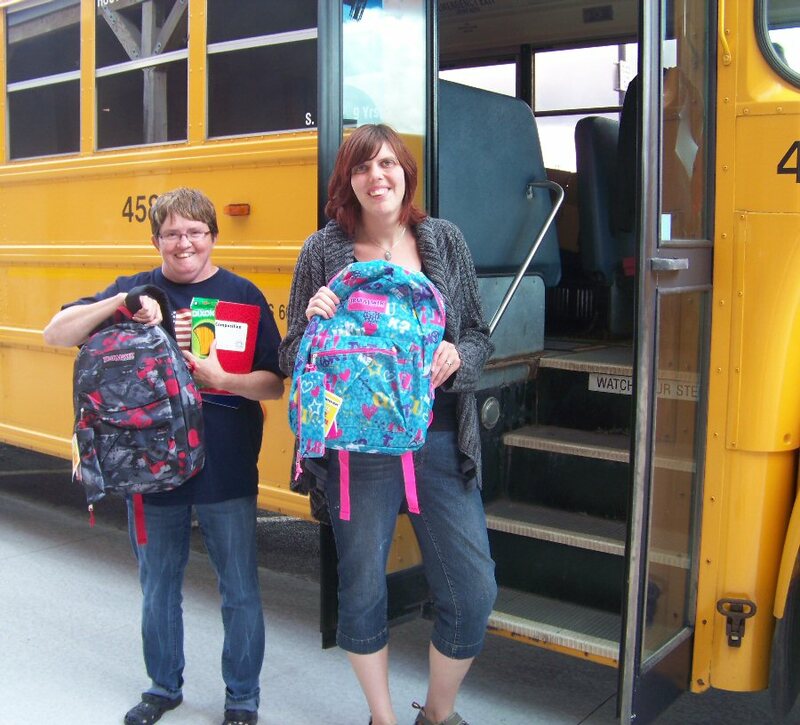 Pictured at the Fulton bus from are Wal-Mart volunteers Linda Marlowe (left) and Lori Lyons.